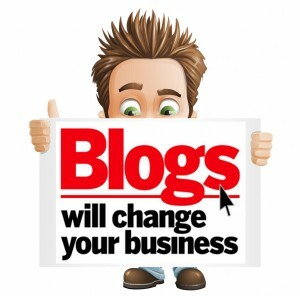 Blogging for your Plumbing Company is Important! It does not matter what size your plumbing business is, it can definitely benefit from a blog. Blogs help to bring traffic to your website, which in turn generates leads, and those leads can then be turned in to new clients. In order to use a blog to your advantage, there are some steps that you need to take. The most important step is to make sure that the blog is hosted on your existing website. The next important factor for a successful blog is to make sure that the content is useful and engaging to the reader. As a rule of thumb, around 90% of the content needs to be useful, and the other 10% can be used for marketing. Finally, you need to respond to any and all comments that you receive on the blog, as this is something that will help to generate trust, as well as an online community. If I already have a website, why do I need a blog that details my plumbing services? The answer to that is simple; a blog acts as an extension to a person or companies online influence. A blog is a powerful tool that can make the difference between success and failure of a plumbing business, and this is due in no small part to the reviews a company may receive about their blog. For example, a person who wishes to know more about technology will read a tech blog, a person interested in fashion will read a fashion blog, and someone who may need the services of a plumber are more likely to read a plumbing blog. Therefore, if they see that your plumbing blog has a lot of posts, they will see you as an authority on the subject over the competition. To get your services noticed, you need to be able to get your message out to as many people as possible, and one of the best methods of doing this is to do it via your own blog. Obviously, you will need to make sure that your blog is hosted on your domain, so people understand that it is an official blog. Then you need to interact with other bloggers, especially those people who have made comments on your blog posts. This means dealing with both positive and negative comments, and this could mean having to handle internet trolls, who do nothing but add negative comments about your plumbing services.